I’ve Been Tagged! — Darwin follow up. So, last night, I confessed to serious geek-hood for having as the book nearest my typing fingers The Origin of Species. This matters only because The Blog Around the Clock played tag w. Inverse Square, hitting y.t. with the 123 challenge. See the post immediately below this one for the details. Here we see how potent has been the effect of the introduction of a single tree, nothing whatever else having been done, with the exception that the land had been enclosed so that cattle could not enter. But how important an enclosure is, I plainly saw in Farnham, in Surrey. Here there are extensive heaths, with a few clumps of old Scotch firs on the distant hill tops: within the last ten years large spaces have been enclosed, and self-sown first are now springing up in multitudes, so close together that all cannot live. There’s cool stuff there, if you unpack it — and you get a whiff of Victorian sentence structure as a bonus. In the Onites apelles the tarsi are so habitually lost,that the insect has been described as not having them. In some other genera they are present, but in rudimentary condition. 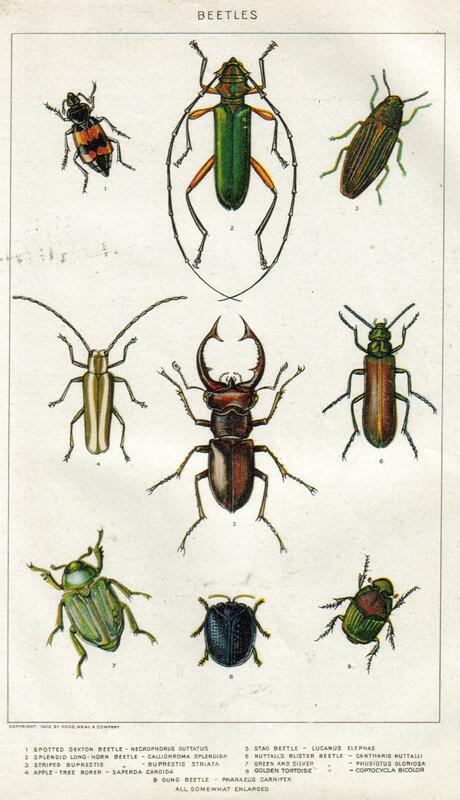 In the Ateuchus, or sacred beetle of the Egyptians, they are totally deficient. Now that gives a bit more of the feel of Darwin’s argument. Just a whiff really — but even in those three sentences you can catch the gentle, relentless power of accumulating facts from nature. This is what Isaac Newton talking about when he claimed that he feigned no hypotheses. Scientific conclusions — Darwin’s discoveries — command assent when it can be demonstrated that an ever greater accumulation of facts can be subsumed within the organization and interpretation provided by the unifyng idea, the theory. And, as we see here, even sacred beetles must needs submit. Now — who to tag? Elizabeth Parisi on Wisdom of Whores? And while I do recognize his love for the sounds of silence, I don’t know what Tim on Balloon-Juice thinks of blog-tag — but I can ask: what’s on his reading desk just now? And last — to continue Bora’s theme of support for book writers — how about hitting Eric Roston over at Carbon Nation, whose book, strangely enough to be titled Carbon Nation comes out in June. 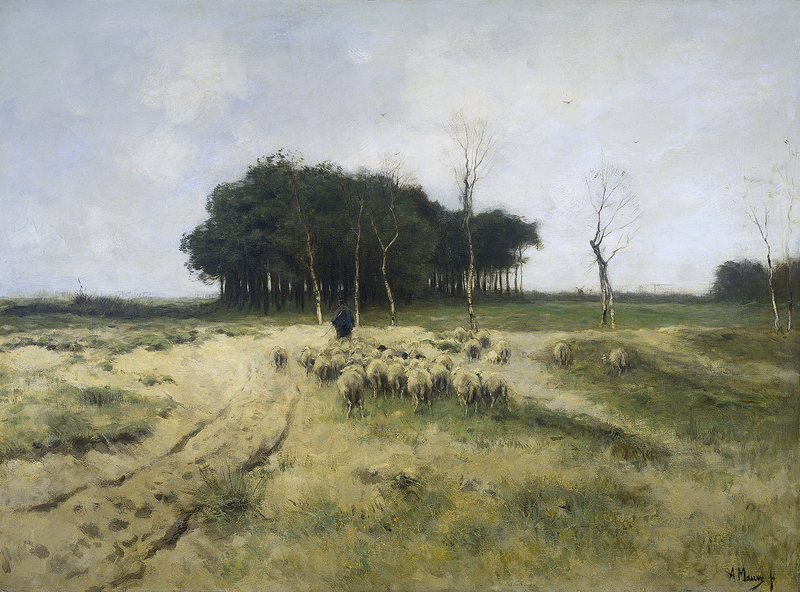 Images: Anton Mauve, “The Heath at Laren” 1887; New International Encyclopedia, “Beetles,” 1902. Source for both: Wikimedia Commons.